Award winning traditionally distilled Gin. 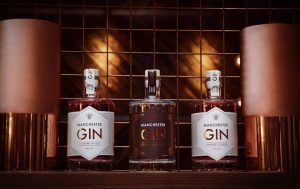 Contemporary in style and created using hand-foraged local ingredients, MANCHESTER GIN was born from humble beginnings. Every bottle is handcrafted to their distinctive design.